Before spring break ended, I did manage to complete one of my 'A to Z' things-to-do. I spent a few hours last Sunday and cleaned out the closet and dresser, and managed to come up with a big trash bag filled with clothes to get rid of. I even broke down and got rid of 3 pairs of shoes! This is seriously huge! YAY for me! The bag is currently in my car with a second bag that was filled over the winter. I have to go through one more thing before I take the bags to Good Will. 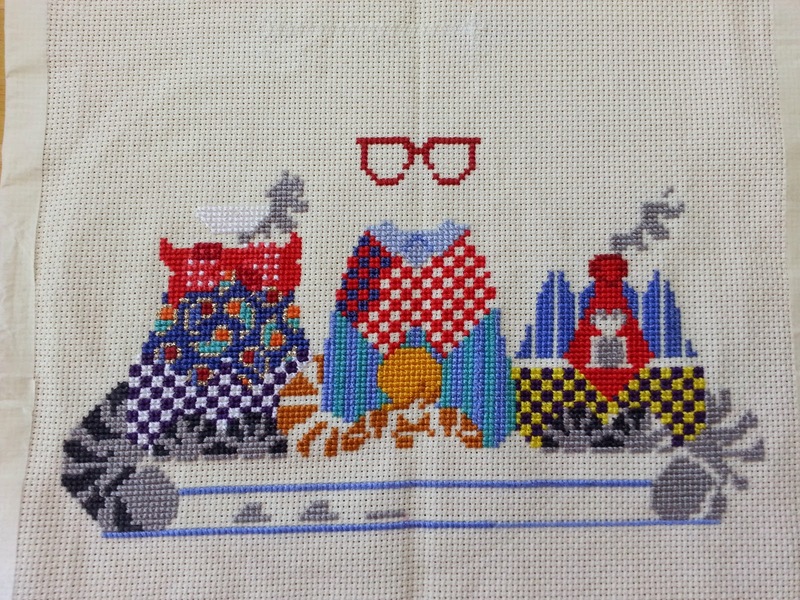 I probably would have done more over spring break, but I became totally obsessed with working on my cross-stitch. I'm still working on it, but not so much now that I'm back to work. I have lots more done ... just haven't updated a pic yet. Left cat is complete except some outlining; middle cat has a face; but I had to rip out right cat's dark gray feet and light gray face fur. I began this project many, many years ago. It was a kit that I found in a Big Lots. I don't know why but I started this kit using 3 strands for all the stitches instead of 2, and therefore ran out of a bunch of thread. The right cat will be a different color gray (not much different, but still different.) I must have also misplaced some thread because I had to go in my stash for the orange to do the middle cat. Not that I don't have enough to do, I have also started two baby quilts. Looks like Corporate Cats may be put on the back burner for a while. One of the baby quilts needs to be done by May 9th for the shower. AARGH!